Digitizing is the process of converting original art work into a set of electronic instruction files that can be read by a commercial embroidery machine. Digitizers use a variety of software programs and productivity tools, but experience, good instincts, and a knowledge of how to translate an image in ink to one made of thread sewn on fabric is critical. 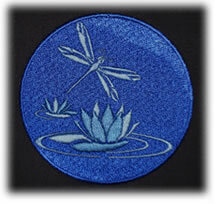 Many custom embroidery factories rely on inexpensive and lower quality overseas digitizing services. Superior Image understands that digitizing is the most important factor in achieving high quality embroidery, and we use only the most experienced digitizing experts. Some contract embroiderers offer “free” digitizing to their customers, but we feel that this practice is not conducive to providing clients with the best quality work. And once your art work is digitized you own the digitized file. Yes. It is much more difficult to capture certain details, such as extremely small lettering or color gradients, with thread than it is with ink or printed material. If you send us the art work for the logo that you wish to be digitized and we feel that we would not be able to replicate it faithfully, we will contact you to suggest and discuss your options. We offer excellent digitizing services and most of the time we are able to find creative solutions that please our clients. Yes. Ordinarily we prefer to do our own digitizing in order to control the ultimate quality of the finished embroidered garment. 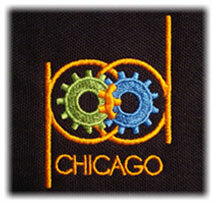 Digitizing quality is undoubtedly the principal determinant of the final embroidery result. However, we recognize that you may have previously digitized files from other custom embroiderers, and if you were pleased before you will certainly be happy with us! Please be aware that we can only perform limited edits on embroidery files digitized by third parties. How do I send Superior Image my logo designs and requests for quotes? For your convenience, you can either send us your embroidery file or your own original art work. Whether you upload your own logo design or submit original art work, we will respond to you quickly with a free quote on digitizing and embroidery services for your project. You can provide special instructions on logo placement, thread colors, or other important information regarding your design.If you are sending us original designs it is important for you to send us the best quality and most accurate art work you have available. 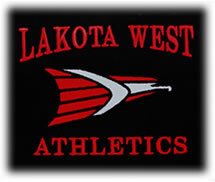 For new logo designs that we have never previously embroidered, the client generally submits art work for a quotation, along with basic information on logo placement (e.g., hat front, chest, sleeve), type of material (e.g., cotton pique, fleece, terry cloth) and the likely number of pieces to be embroidered. We will promptly reply with both a digitizing quote (including any suggestions regarding the size and design modifications) and an estimated embroidery price. As part of the quote we will provide you with information on the estimated number of stitches in the design so that you can also determine embroidery costs on your own using our price list. Once the quote is approved by you, we complete the digitizing and provide the client a scan of a sewout or proof of the newly digitized logo. This provides the client the opportunity to make comments or changes prior to giving the “green light” to proceed with the embroidery. We cannot proceed with the embroidery order until a complete and written purchase order (including a breakdown of garments to be embroidered, thread color requirements, variations by garment type, packaging and shipping/delivery requirements) has been received. When your garments are received from the apparel distributor, we will verify the style, color, size and quantity of each order. You will be able to see the progress of your orders as they are received and posted to our production schedule. This can be seen by logging onto our web site at www.superiorimagedirect.com. Note: You will need your assigned customer number and password to see just your orders. Once we receive of the design proof, and assuming that we have received your written purchase order and garments, we are usually able to ship within five business days. We rarely resort to the “rush fees” that many other embroiderers commonly use, and we rarely say “no”. We understand that “special situations” arise, and we pride ourselves on our partnership with clients to resolve these challenges. We manage deadlines very, very carefully. With your assigned customer number, you will be able to log on to our web site at www.superiorimagedirect.com, click on customer log in, enter your own pass word, and check the progress of all your orders 24/7. It will clearly show you that merchandise was received, the design status, production schedule and ship date. Please send us an email to ddonovan@superiorimagedirect.com, along with your contact information, including your company name and telephone number, and we will be pleased to send you our most recent Contract Embroidery Price List. Can I mix and match garment sizes and types and can I change thread colors without affecting price? Yes. It does not matter whether we are embroidering different garments, as long as the basic logo design (including size) remains identical. We permit our clients two free color changes per order, Thereafter, there will be a small charge to change thread colors. Yes. If you read the price list carefully, you will see every item for which we charge. We believe that our prices are fair, and we carefully avoid any “hidden charges” as part of the trust we build with our clients.